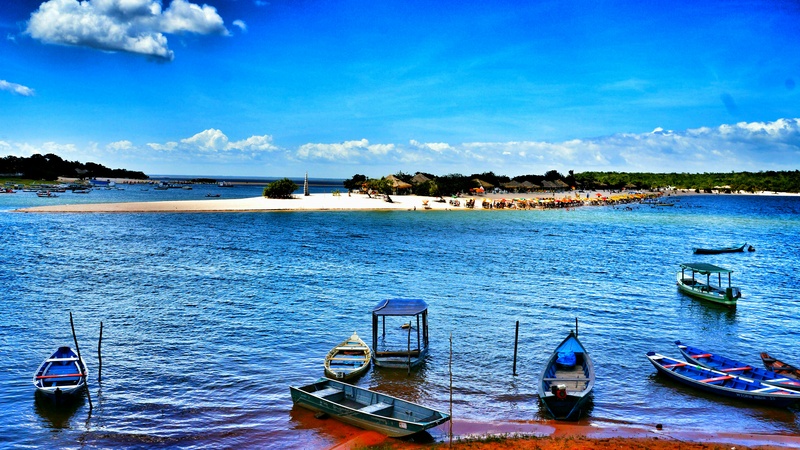 Alter do Chão is 33 kilometres West of the bustling Amazon port city of Santarem, by decent paved roads. Buses depart from Santarém’s Praça Tiradentes roughly every hour and take 45 minutes. You can fly to Santarem from Manaus or Belem or as we did you can arrive here after taking a multi-day adventure along the Rio Amazonas by cargo boat. 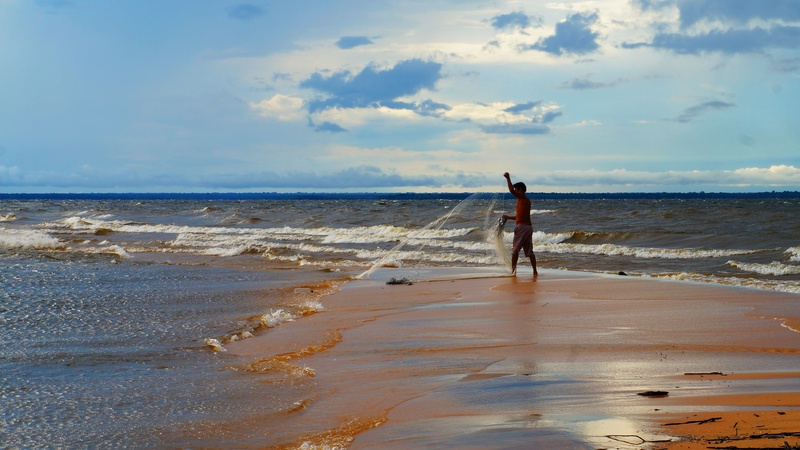 The village is located on the banks of the deep blue Tapajós River, one of the Amazon’s biggest tributaries and from July to December, when the river is at its lowest, it’s surrounded by wide beaches and sandbars. Alter do Chão’s most photographed beach is the Ilha do Amor, or “Island of Love”, a blindingly white stretch of sand dotted with laid back restaurants exuding a chilled vibe. There are a number of small guest houses in the village offering a warm welcome and bucketful’s of character. Most have simple double rooms or, as we did, you can opt for the more authentic jungle experience of sleeping in hammocks in open air thatched huts (lockers are provided to secure your bags). A basic breakfast of baked bread, fresh fruit and coffee is included in the price. Each morning we were woken as orange fingers of dawn crept across our hammocks, and the chorus of unusual Amazonian birds filled the air. Over the low back wall of our guesthouse the brilliant white swathe of sand stretched down to the water’s edge. Alter do Chão sits at the entrance to picturesque Lago Verde. The lake is directly accessible from the village by boat or kayak and its surrounding flooded forest is a great place to spot wildlife and native flora and fauna. At dawn and dusk look out for beautiful pink river dolphins and don’t be surprised to come face to face with monkeys and sloths hanging around in the trees. 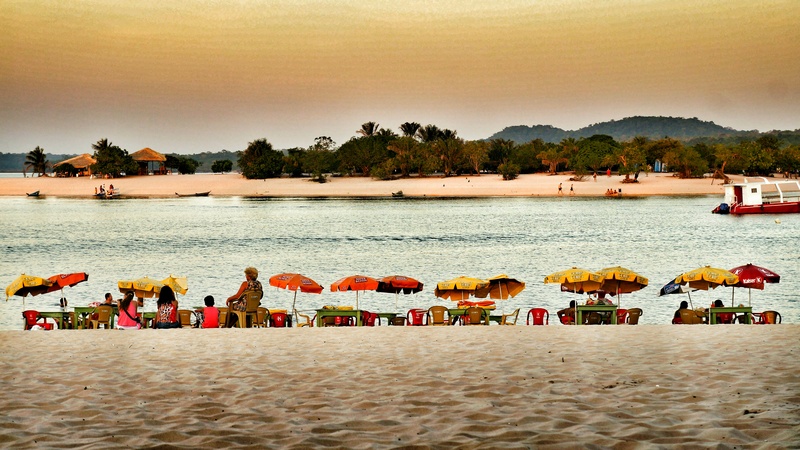 Alter do Chão has a spiritual and artistic vibe. Alternative lifestyles are embraced and those looking for a slower pace of life have made this special place their home. As the sun went down we watched capoeira on the beach, browsed the craft markets and enjoyed listening to musicians playing live in the square. As the heat of the day eased people come out to walk together and dine alfresco at one of the local restaurants. The village is especially beautiful at night as the cicadas start-up their evening song, lights hung through the trees come on, and bright stars sparkle in the sky. 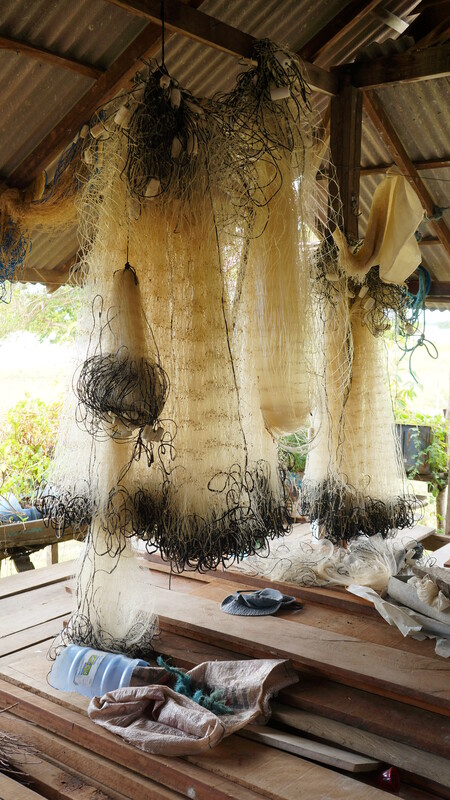 Locals have a deep connection to the environment around them. Farmers cultivate the land and fishermen cast nets from the shoreline taking only what they need to feed their families. The importance of preserving the Amazon’s delicate ecosystem is second nature. With a positive sense of relaxation, it’s possible to do rather a lot or nothing at all. 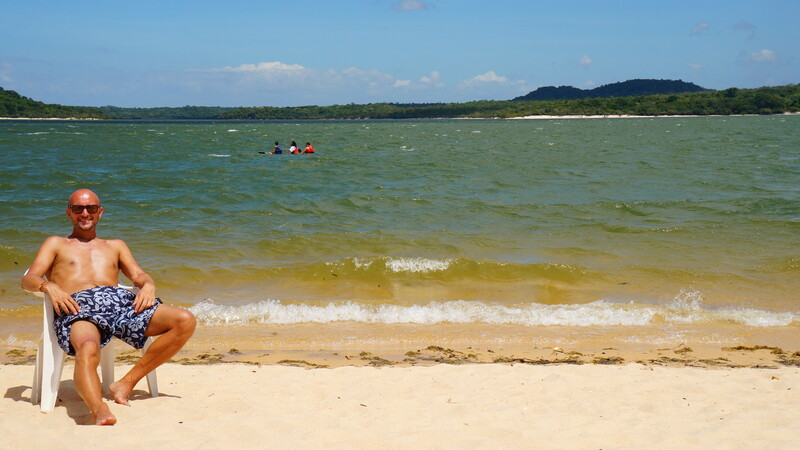 You can relax on the beach, swim in the warm waters, take a yoga class, hike or hire bikes. 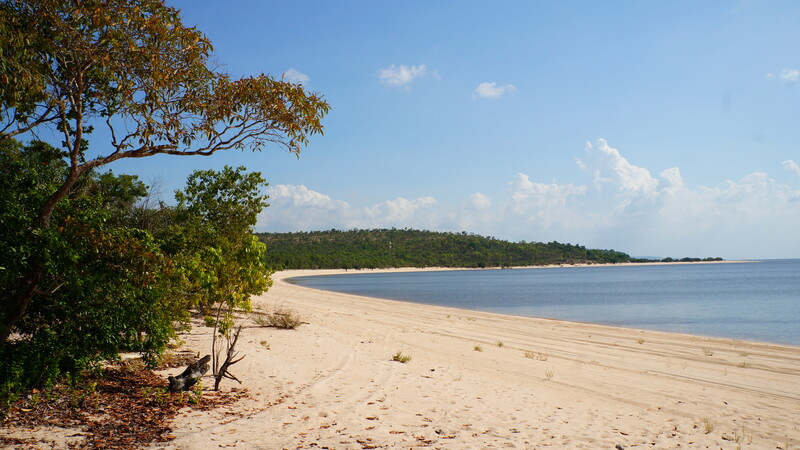 If you’re feeling adventurous you can explore the area by kayak or hire quad bikes to venture to deserted northern beaches. We spent our days at the beach sampling freshly prepared river fish for lunch and sitting waist deep in the water sipping ice-cold beer. Most afternoons involved a walk and our favourite spot was the hill named ‘Alter of the Church’. It was a sweat inducing 30 minute climb through the forest but the rewards of a 360 degree panoramic view was worth it. There’s no exaggerating the beauty of dense green rainforest broken only by twisting river inlets and brilliant white sand. With not a puff of wind the shimmering surface of the water reflected the splendour of our surroundings. 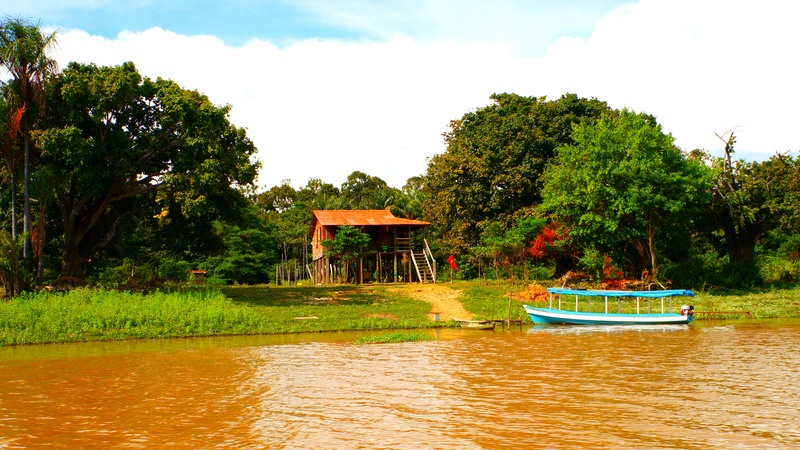 Alter do Chão is an excellent base from which to explore the Amazon. 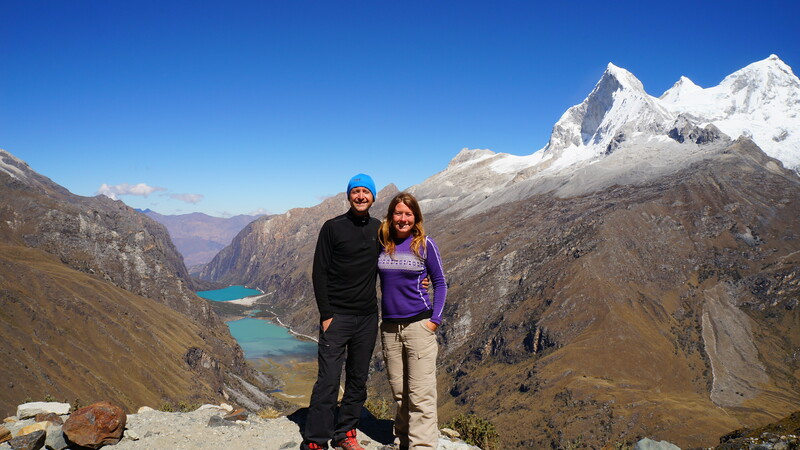 Several tour agencies offer reasonably priced fishing excursions, trips to local communities and rainforest trekking. 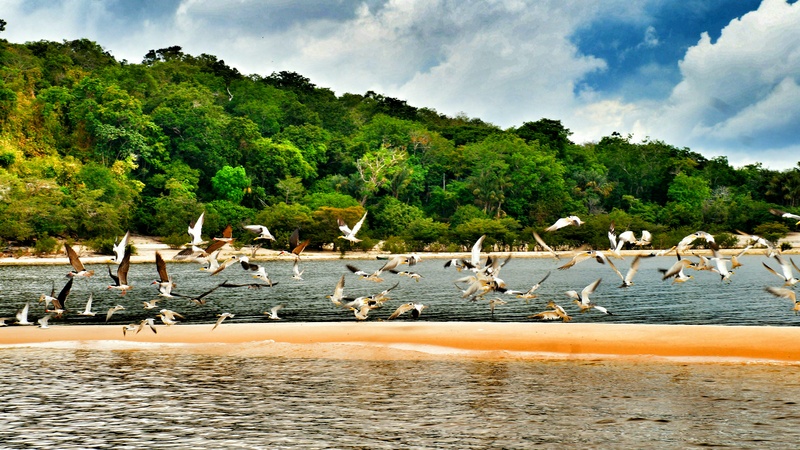 Just a short boat ride away it’s possible to explore 30,000 hectares of unspoilt rainforest at Floresta Nacional do Tapajos (FLONA). One of the highlights of the area is the gigantic behemoth samaúma tree, so wide it would take a whole family linking arms to circle one. 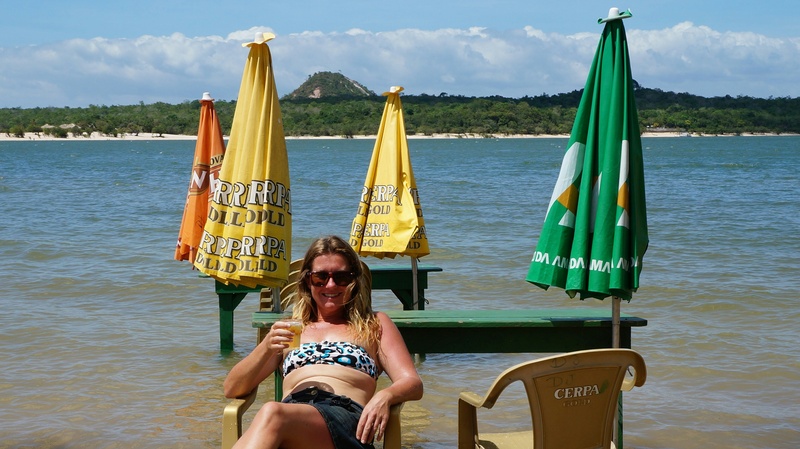 In the park, community-based ecotourism is positively encouraged and it’s possible to stay overnight with local families (usually in a hammock) for around R$60 per person per day including meals. 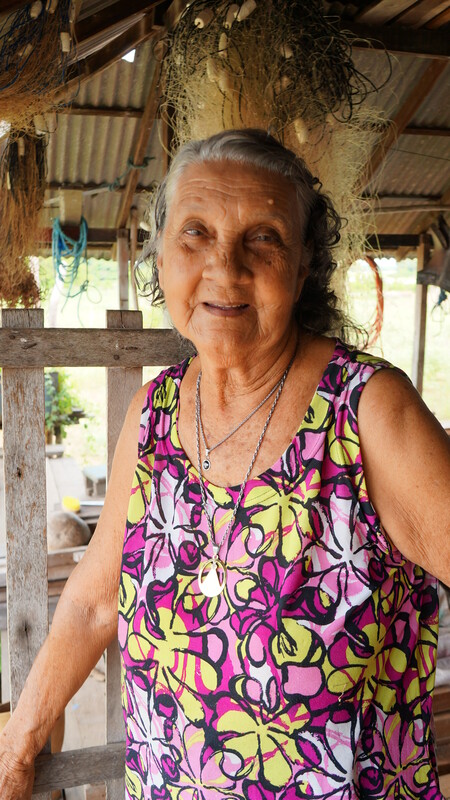 Families make their living from rubber tapping, fishing, producing leather handicrafts and harvesting Brazil nuts. With tourism still in its infancy here, a warm heartfelt welcome is guaranteed. 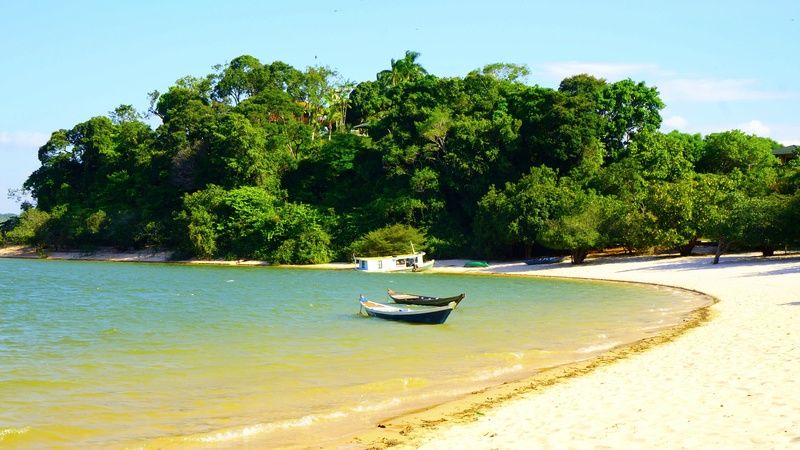 Alter do Chão is one of those places you’d love to keep a secret, a hidden gem amid tropical scenery. But the word is out and this gorgeous village won’t stay hidden for long. 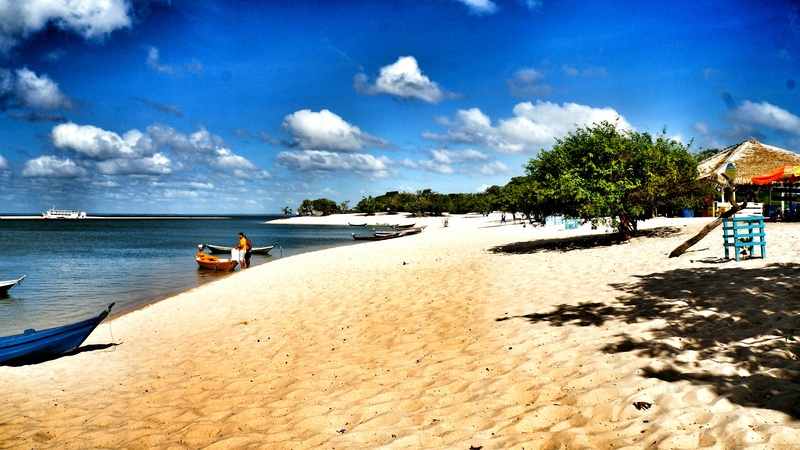 So go now and discover why so many Brazilians consider this magical place as their favourite beach destination of all.